Do you know where I may get get a gothic vestment pattern so that I may make some for our priests. 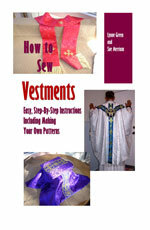 We sell gothic vestment patterns. To see our patterns, click here.